The information, software, products, and services included on this Web site may include inaccuracies or typographical errors and SHATAKSHI GROUP will be entitled to rectify such inaccuracies or typographical errors. SHATAKSHI GROUP will not be liable / responsible for any decision that you may take based on such inaccurate information. Changes are periodically added to the information herein. SHATAKSHI GROUP may make improvements and/or changes in this Web site at any time. Advice received via this Web site should not be relied upon for personal, medical, legal or financial decisions and you should consult an appropriate professional for specific advice tailored to your situation. SHATAKSHI GROUP and/or its respective suppliers make no representations about the suitability, reliability, timeliness, and accuracy of the information, software, products, services, or any other items and related graphics contained on this web site for any purpose whatsoever. All such information, software, products, services and related graphics are provided "as is" without warranty of any kind. SHATAKSHI GROUP and/or its respective suppliers hereby disclaim all warranties and conditions with regard to this information, software, products, services and related graphics, including all implied warranties and conditions of merchantability, fitness for a particular purpose, title and non-infringement. Please ensure that all information given by you while booking is correct. For security reasons and to be able to advice you of any developments affecting your travel we need to be able to contact you by telephone and email and to have your correct address on record .If any or all of these contact details are not correctly given by you, we reserve the right to cancel the transaction at your risk and cost. The right to access and transact on the web site is reserved, so is the right to use any particular credit card on the site for payment purposes. The products and services displayed on the Site may not be available for purchase in your particular country or city or at a particular point of time. The reference to such products and services on the Site does not imply or warrant that these products or services will be available at any time in your particular geographical location. You should check with your local SHATAKSHI GROUP authorized representative for the availability of specific products and services in your area, at the time when you propose to avail the services. SHATAKSHI GROUP may add to, change or remove any part of these Terms and Conditions of Use at any time, without notice. Any changes to these Terms and Conditions of Use or any terms posted on this Site apply as soon as they are posted and no specific indication of such change shall be given separately. By continuing to use this Site after any changes are posted, you are indicating your acceptance of those changes. SHATAKSHI GROUP may add, change, discontinue, remove or suspend any other Content posted on this Site, including features and specifications of products described or depicted on the Site, temporarily or permanently, at any time, without notice and without liability. SHATAKSHI GROUP reserves the right to undertake all necessary steps to ensure that the security, safety and integrity of SHATAKSHI GROUP systems as well as its client’s interests are and remain, well-protected. Towards this end, SHATAKSHI GROUP may take various steps to verify and confirm the authenticity, enforceability and validity of orders placed by you. Please Note that none of the information contained in this Website should be viewed as an offer to sell or as a solicitation to purchase any of our products or services. Rather, the information on our products and services is provided to you so that you can learn what products SHATAKSHI GROUP generally offers. 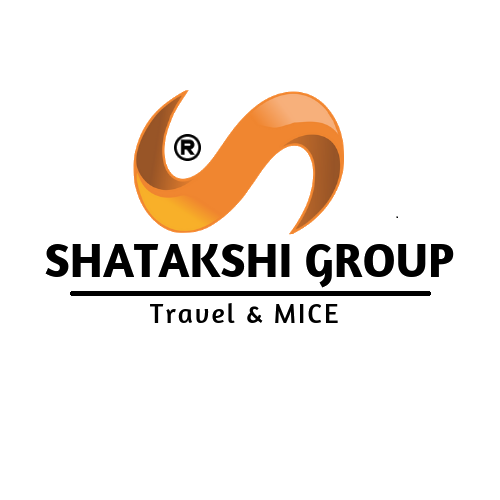 SHATAKSHI GROUP are a travel and holiday organizers. We do not control or operate any airline neither does control or we own any shipping company, hotel or transport or any other facility or service mentioned on the site. We take care in selecting all the components. However though we select them, we have no control on running them. We cannot be held responsible for any lack of service by any independent agency, airline, transport operator, hotel or any other service provider. By using the Account Access service in SHATAKSHI GROUP’s websites, the user authorizes SHATAKSHI GROUP and its agents to access third party sites that of Banks and other payment gateways, designated by them or on their behalf for retrieving requested information. While registering, the User will choose a password and is responsible for maintaining the confidentiality of the password and the account. In the rare possibilities of the reservation not getting confirmed for any reason whatsoever, we will process the refund and intimate you of the same. SHATAKSHI GROUP is not under any obligation to make another booking in lieu of or to compensate / replace the unconfirmed one. All subsequent further bookings will be treated as new transactions with no reference to the earlier unconfirmed reservation. Any refunds arising from any transactions with SHATAKSHI GROUP due to any cancellation of the booking for any reason whatsoever shall be processed by SHATAKSHI GROUP in the same bank account or debit or credit card used by the User to make the payment at the time of booking. Every booking made with SHATAKSHI GROUP is subject to cancellation charges levied by the airline, which may vary depending upon flight and booking class. Some booked fares may be non-refundable per the specific airline's policy. In such event SHATAKSHI GROUP will not be responsible for any refund. Applicable convenience fees will be non-refundable in case of ticket cancellation by the user, or flight cancellation by the airline. SHATAKSHI GROUP cancellation charges: Over and above the airline cancellation charges, SHATAKSHI GROUP will levy Rs. 250/- per passenger per segment for each cancellation. Cancellation requests received from online or telephonic platform through SHATAKSHI GROUP customer support shall only be entertained. SHATAKSHI GROUP shall not be liable to entertain any cancellation requests made through any other medium including but not limited to sms, e-mail For e-tickets, if your cancellation request is made less than 24 hours before departure, you'll need to contact the concerned airline directly to get your reservation cancelled, and SHATAKSHI GROUP shall not be responsible for any cancellation requests made less than 24 hours before departure. Convenience fee charged at the time of booking is non-refundable under any circumstances whatsoever. Any Trip changes and cancellations, if permitted, may incur increased prices and penalties. A processing fee of Rs. 250/- per ticket/ per voucher will apply for each additional payment required or refund requested as a result. Convenience fee charged at the time of booking is non-refundable. Discount availed at time of booking will be non-refundable. If you amend / alter your booking, you will be charged the difference in fare as applicable, if any, difference in fare will be applicable when the amendment is made. However, due to amendment/ alteration to your booking if the new fare is lower than the Original fare, difference in the amount will not be refunded, and the rebooking charges as applicable will be collected. The charges levied by Airlines are Non-Refundable in case of cancellation post amendment. It is mandatory to contact SHATAKSHI GROUP for all refund requests, as the airline will not be processing refund of your tickets which were booked through Shatakshi Group.in If you need a refund for paper tickets, same shall be surrendered with SHATAKSHI GROUP. Your tickets must reach SHATAKSHI GROUP within 48 hours from the time of cancellation to enable SHATAKSHI GROUP to get tickets endorsed by the concerned airline on your behalf. If your paper ticket are lost or damaged, the airline will not be able to process a refund request. SHATAKSHI GROUP shall not be responsible for any rejection of airline ticket refund request due to loss or damaged condition of your paper ticket. Duration required for processing cancellation and refund requests are subject to vary. SHATAKSHI GROUP shall refund your cancellation only after the respective Airline/Service Provider processes the same to SHATAKSHI GROUP as per your eligible refund. SHATAKSHI GROUP may also contact the User by voice call, SMS or email in case the User couldn’t or hasn’t concluded the booking, for any reason what so ever, to know the preference of the User for concluding the booking and also to help the User for the same. The User hereby unconditionally consents that such communications via SMS and/ or voice call by SHATAKSHI GROUP is (a) upon the request and authorization of the User, (b) ‘transactional’ and not an ‘unsolicited commercial communication’ as per the guidelines of Telecom Regulation Authority of India (TRAI) and (c) in compliance with the relevant guidelines of TRAI or such other authority in India and abroad. The User will indemnify SHATAKSHI GROUP against all types of losses and damages incurred by SHATAKSHI GROUP due to any action taken by TRAI, Access Providers (as per TRAI regulations) or any other authority due to any erroneous compliant raised by the User on SHATAKSHI GROUP with respect to the intimations mentioned above or due to a wrong number or email id being provided by the User for any reason whatsoever. SHATAKSHI GROUP is not responsible for any errors, omissions or representations on any of its pages or on any links or on any of the linked website pages. SHATAKSHI GROUP does not endorse or assume any responsibility or any advertiser on its web pages in any manner. The Users are requested to verify the accuracy of all information on their own before undertaking any reliance on such information and action on the same. The linked sites are not under the control of SHATAKSHI GROUP and SHATAKSHI GROUP is not responsible for the contents of any linked site or any link contained in a linked site, or any changes or updates to such sites. SHATAKSHI GROUP is providing these links to the Users only as a matter of convenience and the inclusion of any link does not imply endorsement of the site by SHATAKSHI GROUP. Unless explicitly provided by SHATAKSHI GROUP in any specific service or deliverable, obtaining sufficient insurance coverage is the obligation/option of the user based on his own risk perception and SHATAKSHI GROUP doesn’t accept assumption of responsibility for the same. It is highly recommended that the user acquires adequate insurance cover to secure their life, health and property as may be advised by your insurance agent to cover any eventualities associated with your overseas travel including health, accidental injury, loss, liability and the like depending on your assessment of your risk potential. Insurance if any, included in the tour price may be the standard travel care insurance policy provided by a third party insurance service provider and the scope of the cover may be limited in nature, the details of which shall be provided to you at the time of confirmation of your booking. The user is advised to discuss your insurance needs directly with your insurance agent before proceeding on the tour and at your own cost procure any additional cover as may be advised. Please note, Insurance is the subject matter of solicitation, please read the terms and conditions of the insurance document carefully before finalizing your desired insurance cover. Please note that the user would have a direct contractual relation with the insurer. User shall therefore check the accuracy and correctness of the insurance policy and in case of any error or lapse report the same to the Insurer directly and get the same rectified by them, as the Company would not be responsible for the same. The user agrees that there can be exceptional circumstances where the service providers like airlines, hotels, the respective transportation providers or concerns may be unable to honor the confirmed bookings due to various reasons like climatic conditions, labor unrest, insolvency, business exigencies, government decisions, operational and technical issues, route and flight cancellations, international events etc. If SHATAKSHI GROUP is informed in advance of such situations where disruption of bookings may happen, it will make its best efforts to provide similar alternative to its customers or refund the booking amount after reasonable service charges, if supported and refunded by that respective service operators. The user agrees that SHATAKSHI GROUP being an agent for facilitating the booking services shall not be responsible for any such circumstances or resultant financial impact if any and the customers have to contact that service provider directly for any further resolutions and refunds. Customer acknowledges that SHATAKSHI GROUP is only a mere tour operator and any refund for any service(s) which was/were not delivered by the service provider or for any reason for which the User is entitled for a refund is subject to SHATAKSHI GROUP receiving the amount from the said service provider. User acknowledges that SHATAKSHI GROUP shall not be held liable for any delay in refund or non-refund of the amount from the service provider. In such events the User shall directly approach the service provider for any claims. SHATAKSHI GROUP shall not be liable for delays or inabilities in performance or nonperformance in whole or in part of its obligations due to any causes that are not due to its acts or omissions and are beyond its reasonable control, such as acts of God, fire, strikes, embargo, acts of government, acts of terrorism or other similar causes, problems at airlines, rails, buses, hotels or transporters end. In such event, the user affected will be promptly given notice as the situation permits. Without prejudice to whatever is stated above, the maximum liability on part of SHATAKSHI GROUP arising under any circumstances, in respect of any services offered on the site, shall be limited to the refund of total amount received from the customer for availing the services less any cancellation, refund or others charges, as may be applicable. In no case the liability shall include any loss, damage or additional expense or any loss whatsoever beyond the amount charged by SHATAKSHI GROUP for its services. In no event shall SHATAKSHI GROUP and/or its suppliers be liable for any direct, indirect, punitive, incidental, special, consequential damages or any damages whatsoever including, without limitation, damages for loss of data or profits, arising out of or in any way connected with the use or performance of the SHATAKSHI GROUP website(s) or any other channel . Neither shall SHATAKSHI GROUP be responsible for the delay or inability to use the SHATAKSHI GROUP websites or related services, the provision of or failure to provide services, or for any information, software, products, services and related graphics obtained through the SHATAKSHI GROUP website(s), or otherwise arising out of the use of the SHATAKSHI GROUP website(s), whether based on contract, tort, negligence, strict liability or otherwise. SHATAKSHI GROUP is not responsible for any errors, omissions or representations on any of its pages or on any links or on any of the linked website pages. Nevertheless, SHATAKSHI GROUP will always make its best endeavors to ensure that the content on its websites or other information channels are free of any virus or such other malwares. SHATAKSHI GROUP requests you to consult your local authorities and evaluate travel prohibitions, warnings, announcements, and advisories issued by them before booking travel to certain international or domestic destinations. By offering for sale travel to particular international destinations, SHATAKSHI GROUP does not represent or warrant that travel to such point is advisable or without risk. SHATAKSHI GROUP does not accept liability for damages, losses, or delays that may result from improper documents for entry, exit, length of stay, or from travel to such destinations. SHATAKSHI GROUP, SHATAKSHI GROUP Affiliates and their respective suppliers are not liable for the acts, errors, omissions, representations, warranties, breaches or negligence of any air carriers, hotels , embassies , consulates or other suppliers or for any personal injuries, death, property damage, or other damages or expenses resulting there from. SHATAKSHI GROUP, SHATAKSHI GROUP Affiliates and their respective suppliers have no liability and will make no refund in the event of any delay, cancellation, overbooking, strike, force majeure or other causes beyond their direct control, and they have no responsibility for any additional expense, omissions, delays, re-routing or acts of any Government or authority. SHATAKSHI GROUP reserves its exclusive right in its sole discretion to alter, limit or discontinue the Site or any material posted herein, in any respect. SHATAKSHI GROUP shall have no obligation to take the need / requirements of any User into consideration in connection therewith. SHATAKSHI GROUP reserves its right to deny in its sole discretion any user access to this Site or any portion hereof without notice and without offering any explanation. You agree to abide by the terms and conditions of purchase imposed by any supplier with whom you elect to deal, including, but not limited to, payment of all amounts when due and with the supplier’s rules and restrictions regarding availability and use of fares, products, services, etc . You acknowledge that some third–party providers offering certain services and/or activities may require you to sign their liability waiver prior to participating in the service and/or activity they offer. You understand that any violation of any such supplier’s rules and restrictions may result in cancellation of your reservation(s), in your being denied access to the applicable travel product or services, in your forfeiting any monies paid for such reservation(s), and/or in SHATAKSHI GROUP debiting your account for any costs we incur as a result of such violation. No waiver by SHATAKSHI GROUP of any provision of these Terms and Conditions shall be binding except as set forth in writing and signed by its duly authorized representative. These terms and conditions are governed by and shall be construed in accordance with the laws of the Republic of India and any dispute shall exclusively be subject to the jurisdiction of the appropriate Courts situated at Mumbai, Maharashtra, India.